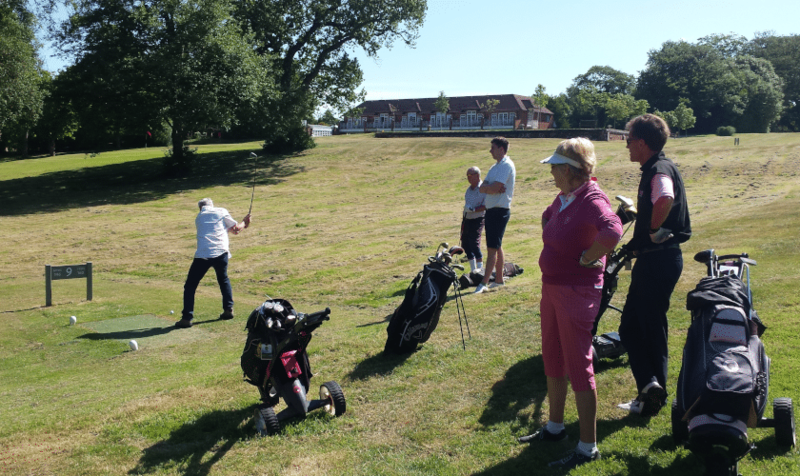 While some have been counting the days to the FIFA World Cup others have been mentally practising their swing in anticipation of playing in the Golf or Croquet Tournaments at our annual Sports Morning. 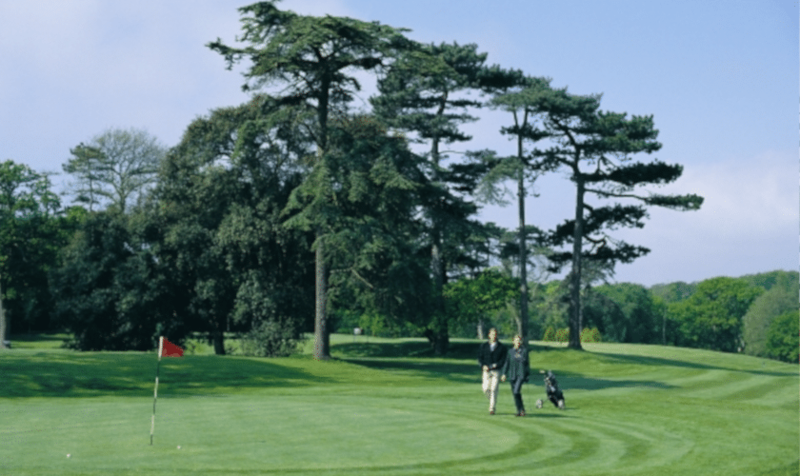 This will be the Association’s 25th Golf Tournament on the very testing 9 hole course at Chewton Glen which will be played twice round. Is it competitive? Only if you want to be, however, it is said that although croquet looks genteel it can encourage the meek to become wild. In fact, our guide, Martin Dock, from Croquet For Events will positively encourage you to do your ‘best’ at winning. 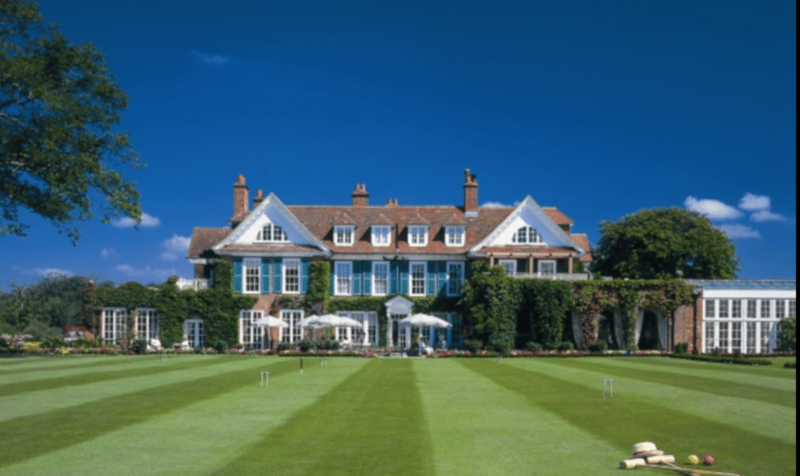 We begin at 7.30am with a Bacon Buttie in the Hotel , to provide us with sustenance to do battle on the infamous course at Chewton Glen. We will be playing the ‘Stableford’ scoring system. You may use a full bag of clubs. 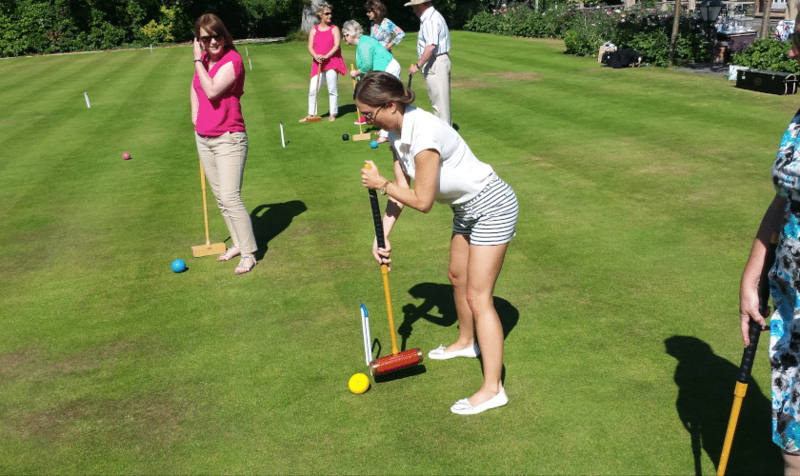 Croquet For Events have run croquet at prestigious venues since 2005 and, with backgrounds in events and teambuilding, they’ve made croquet into a fun organised activity, perfect for groups. The game plan is to get everyone playing as soon as possible. So no theory, a little practice if time allows, then learn as you play; and the only tips and rules they mention are those that help you enjoy the game. They’ve adapted the croquet for groups, whilst keeping it authentic. So can run a fun introduction to the game, organise a points-based competition or hold a knockout tournament ending with an exciting final. A flexible approach allows many people to play at the same time. One instructor can handle up to 16-24 people; and if more capacity is needed and space allows, a second instructor can be brought in. This entry was posted in News on June 1, 2018 by splice.